Ten years ago, Brad Bird gave the world one of the best superhero films it has ever seen (then or now) in The Incredibles. Telling the story of a family of superheroes in a world that feared their kind, their patriarch Mr. Incredible is duped by wealthy and eccentric inventor Buddy Pine into helping him perfect the Omnidroid (a series of robots that nearly secretly wiped out all known superheroes). Part of the insidious Operation Kronos, Pine adopted the identity of the powerful Syndrome who would publicly defeat the Omnidroid and become a new hero adored by the people. However, when the robot’s ability to adapt made it self-aware and throw off Syndrome’s control, it was up to the Incredibles and their friend Frozone to save the city of Metroville. Despite being popular and sequels for other films from the animation studio Pixar making their way to the big screen, Bird would say he had ideas for a sequel to The Incredibles but didn’t feel it was enough to compose another movie (choosing instead to wait until he could make a sequel worthy of the original). Since then, Bird would helm Ratatouille for Pixar and move on to live action films like Mission: Impossible – Ghost Protocol and Tomorrowland. Comic book publisher Boom! Studios would tackle the Incredibles in 2009 under the guidance of the brilliant Mark Waid featuring Xerek, intended to be the main villain of the film in early drafts, and his villainous group the Unforgivables. 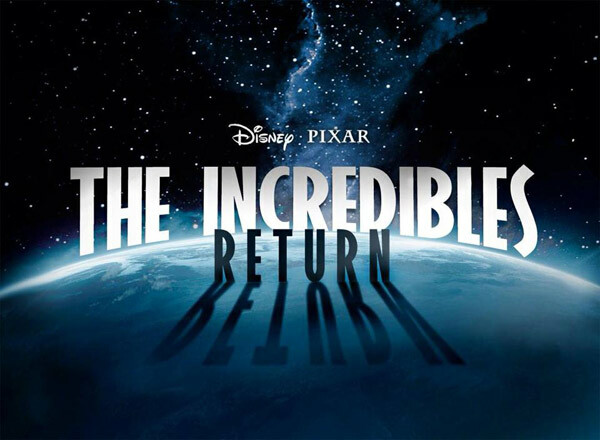 Recently, it was announced Brad Bird is developing a script for The Incredibles 2. While no details are known about Brad Bird’s script for The Incredibles 2, clues maybe hidden in the first film. 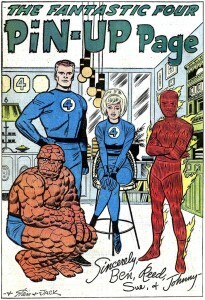 While arguably the X-Men (featuring mutants who develop powers through a mutation of their genes) and Justice Society of America (a team of superheroes around the time of World War II forced to retire by a paranoid America) were inspirations for the original work, there’s no doubt the Fantastic Four was of great influence. 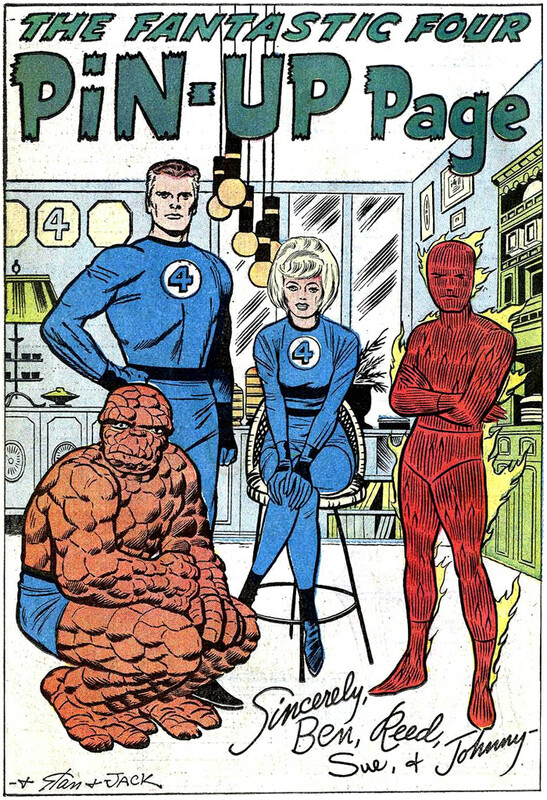 The Fantastic Four is a family of heroes (Human Torch and Invisible Girl are siblings, the latter marrying leader Mr. Fantastic and having a mutant child together) whose nemesis Doctor Doom is a wealthy and brilliant inventor with a vendetta against Mr. Fantastic from a conflict years in the past. From the costumes to the powers to the personalities, the Incredibles is like a clever swap of elements of the Fantastic Four: Mr. Incredible with a name similar to Mr. Fantastic and powers and bravado similar to the Thing; Elastigirl with similar powers to Mr. Fantastic; Dash with a similar personality to Human Torch; Violet with similar powers to Invisible Girl and pathos of the Thing; and Jack-Jack possibly some new kind of super-mutant as Franklin Richards is an Omega-Level mutant despite being only a child. Syndrome, as a young man, wanted to be Mr. Incredible’s sidekick Incredi-Boy whose rejection in this regard targeted his psychosis on superheroes, especially towards his idol. This story reflects the relationship between Mr. Fantastic and Dr. Doom, the latter blaming Fantastic for the accident that scarred Doom’s face and his expulsion from Empire State University. The Underminer, who appears at the end of The Incredibles, is an obvious nod to the Mole Man, the first supervillain the Fantastic Four battle. The film also has a metaphysical connection as well as the success of the Fantastic Four heralded the return of the superhero genre at the company that would be called Marvel Comics as the Incredibles heralded a new acceptance of superheroes in the narrative of its world. In the confines of The Incredibles, a new door was opened for heroes in the same way the Fantastic Four opened up Marvel. While Syndrome killed most of the elder heroes, as evidenced at his surprise over Mr. Incredible’s children, it all but laid the groundwork for new, younger heroes to emerge. When Stan Lee and Jack Kirby kicked open Marvel’s new age, heroes like Ant-Man, Hulk, Spider-Man, Thor, Iron Man, Dr. Strange, X-Men, and Daredevil (as well as the return of Sub-Mariner and Captain America) came tumbling after. It wouldn’t be a stretch that the sequel will deal with a similar explosion of new characters in Metroville and the multitude of enemies they’ll encounter prompting the formation of like-minded individuals that will likely look to the Incredibles and Frozone for guidance (being of only a handful of surviving heroes), while others may view the family as the old guard and almost resent their prominence in the community. Of course, the Incredibles themselves will gain new enemies with comic book original villainess Mezmerella even featured at Disney California Adventure Park (and, of course, the already mentioned Xerek the original antagonist for the film that transitioned into the comic book). However, as with most sequels, it’s likely The Incredibles 2 will go bigger than the original and depart from facing a traditional villain. The Fantastic Four has one of the best rogues galleries in comics. With enemies like the Skrull (and their Super-Skrull), the Kree (and their Sentry-459), Annihilus, Blastaar, Terminus, Diablo (and his Dragon Man), Mad Thinker (and his Awesome Android), Wizard (and his Frightful Four), and Molecule Man, not to mention the aforementioned Dr. Doom, their dance card is nothing to sneeze at. 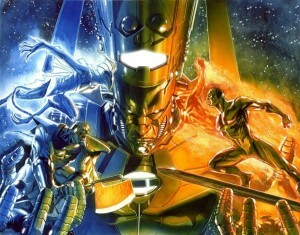 However, if there’s a threat that can completely eclipse their nemesis, it’s Galactus. Referred more as a force of nature than an actual villain, Galactus is an ancient being that must consume the energies of entire planets to maintain his existence. Galactus’ appearance above a planet all but guarantees its destruction as he is virtually unstoppable. Worse still, Galactus employs heralds to find him worlds and to handle setbacks to his feeding while he busies himself turning planets into pure energy. Heralds like Silver Surfer, Air-Walker, Firelord, Terrax, Nova, Morg, Plasma, Red Shift, Fallen One, and Stardust who wield the Power Cosmic, a portion of their master’s awesome power, are themselves more than enough of a threat to most worlds alone individually. 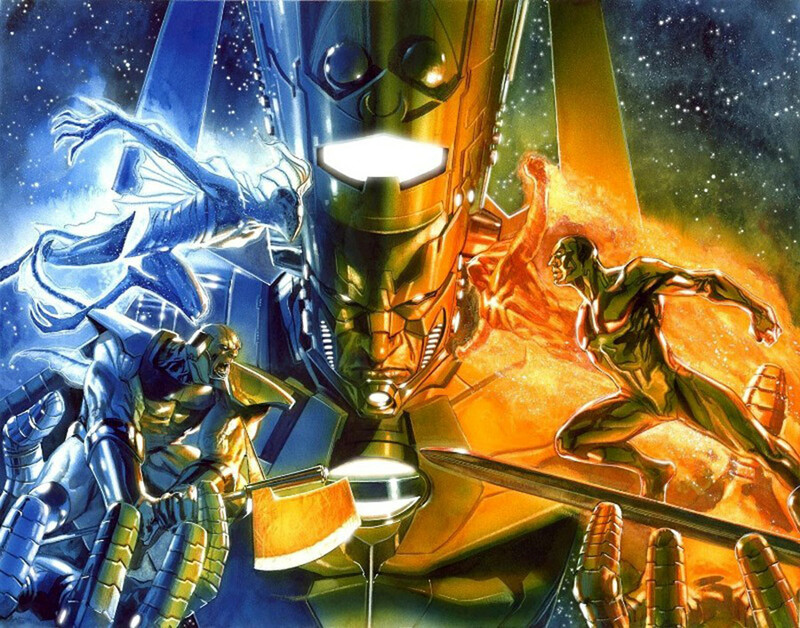 While undoubtedly if adapted, Brad Bird will not directly lift Galactus and his heralds from the page to the film in purely thinly veiled versions, chances are good analogies of these elements could appear given the previous film’s nods to the Fantastic Four and their villains.